Are you ready to rock your heart, soul, and habits to healthier living? There is great importance in creating healthy habits. Let’s start where you are now. What are some habits you exhibit in your day? Oh and let’s not forget your phone with texts and emails! Guilty! All of this is automatic; You don’t even have to spend extra energy. You just do it! This part of your life is the Nike commercial. No thought required. It all happens automatically and rhythmically. These are your daily habits. 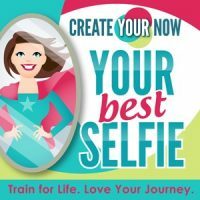 Now when you want to change your old ways and create new ways, how easy is that for you? Because each and everyone of us want to make some changes. We have this thought in our head that we can get there quickly just like our daily habits. But the problem is the change doesn’t come as easy as we think it should. Days turn to weeks which turn to months, which turn to years. Any change? Yet you still want more. Why doesn’t it come easier. Some say you can create a habit in 21 days, others say 66 days. There is a study, research, a book, an expert that will find whatever you really want to see. So if you want to have a new habit in 7 days, you can. Or can you? How long did it take you to teach your child to brush his/her teeth, morning and night, without you reminding them? What about potty training? Months to longer. I don’t want you to feel like a failure when you don’t get to your goal in 7, 21, or 66 days. The K.I.S.S. ~ Make the H.A.B.I.T. yours! HONEST with your heart and soul. ACCEPT where you are and where you are going. BLINDERS; keep the focus. No chasing squirrels. It’s right for YOUR lifestyle; good fit for YOUR season. INITIATE. I will do it. Take A.I.M. So if you’re looking for permission to stop beating yourself up for not having better habits or still struggling to get it right, YOU GOT IT! You have to make the habit yours!